Thank you Bone Weaver Whitetails for an incredible experience. I spent 3 days on the ranch with a few friends and can say it's unlike anywhere else. The lodge was an awesome place to hangout at night playing pool or sitting by the fire. The shooting house was a great place to sight-in rifles and shoot at targets, and the hunts were unbelievable. The land is incredibly scouted and they found the exact deer I was hoping to shoot. I can't say enough about their hospitality and eagerness to help you have a great experience. 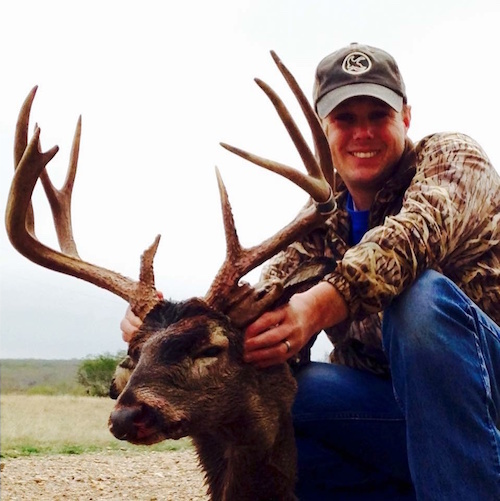 The unlimited amount of bucks on this ranch is something you don't see very often. I cannot wait to get back next year. The boys and I really enjoyed our weekend hunt with you. The hunt, lodging, and hospitality were an "A" rating. The boys were surprised by all of the different types of game we saw and the amount - nothing less than fourteen animals each time we sat at a stand. We look forward to hunting on your ranch again this fall. Thanks again. I wanted to thank Bone Weaver Whitetails for an incredible experience. We took a trip with three friends and could not have been more pleased. I was able to shoot the deer of a lifetime the first day and never got bored the rest of the trip. Whether it was taking advantage of the shooting range, grilling out, drinking by the fire pit or playing pool and poker, we all enjoyed the great hospitality. Every blind was great allowing us to see bobcats, javelina, and unlimited deer. I would highly recommend this trip for not only family and friend outings, but also for business trips. I can't wait to get back. Thanks again for the incredible opportunity and experience. Once again, thank you for a great weekend hunt. Your ranch is full of big deer and you guys really made it comfortable for a 10 year old to shoot a nice 10 point buck. The lodging was awesome and the rock band game was fun. My dad and I look forward to seeing y'all again in January. 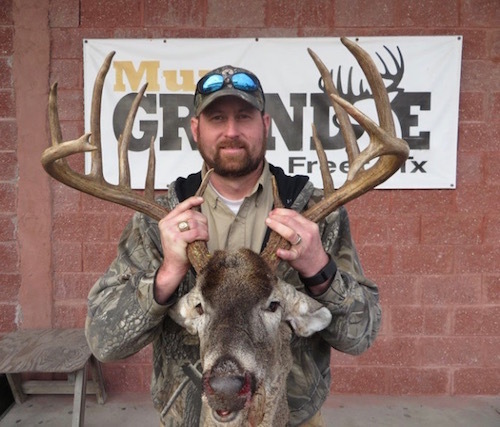 2016 winner of the Muy Grande Competition, Macho Grande Division - I would like to extend my sincere appreciation to Bone Weaver Whitetails for the unprecedented experience I had on my hunting trip. The staff immediately made me feel at home and were ready for my arrival in every aspect. The accommodations far exceeded any previous hunting trip. I was able to hunt the deer of my lifetime. They knew my goals and had my trip personalized to ensure that it was a success. The hunting blinds were immaculate and comfortable. Our whole group was catered to on each and every hunt. Having been on several ranches, I can honestly say that Bone Weaver is the best in the business. I can't wait to go back next year with my son and business colleagues. Meeting the Sanders family and having the opportunity to visit Bone Weaver Whitetails was a true blessing. As far as their hospitality - incredible. The ranch is beautiful and the deer are jaw-dropping! I thought it would be a good experience, but it turned out to be an incredible one. Truly unforgettable. 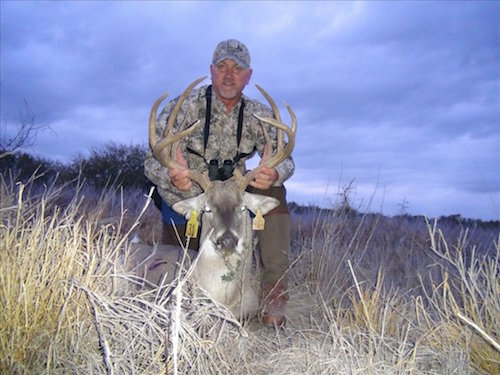 If you are a hunter looking for a great place to hunt in South Texas, this is it. This is a place where whitetail dreams come true. -Vicente Pena, Producer of "Mexico Whitetails" and "Don't Shoot Young Big Bucks"